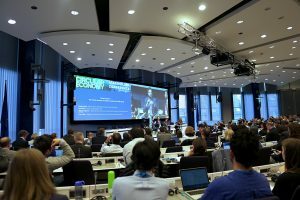 Earlier in March, seven ESRs from Cresting ITN met in Brussels to attend the Circular Economy Stakeholder conference, which was hosted by the European Commission and the Europea n Economic and Social Committee. The purpose of the event was to stimulate high-level and multi-stakeholder political debate on the implementation of Circular Economy (CE) in Europe as well as collect different perspectives on the potential for the multi-level development of CE. This was possible through engagement of various actors representing private, public and social economic sectors. As promised, the conference had a variety of stakeholders that were willing to participate in the conversations to make Europe more circular. 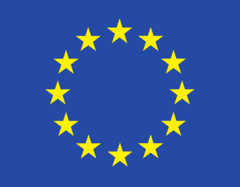 Day 1 was full of motivational speeches from high-level European institutions representatives. In the afternoon, different sectors of society presented their management and implementation of Circular Economy principles in their operations during several parallel sessions. During day 2 there was more room for stakeholder interaction and active knowledge sharing during participatory workshops, zooming in on various CE dimensions. If we have to choose a word to describe the conference, it would be: predictable. While there was recognition of the great legislative progress (with special focus on the CE Action Plan) that has been achieved to lead the way for our society to become more circular -which is truly impressive- and the critical importance of collaboration among stakeholders, there was a lack of creativity and innovation when it came to addressing the current and future challenges for the CE. Discussions about a more profound re-thinking of the current systems dynamics were addressed less prominently throughout the sessions. After formulating ambitious CE goals by industry and policy-makers, we learned our challenge as researchers and active participants in the process, is to successfully transform those goals into impact-rich measures on the short term and look for lasting and resilient strategies on the long term. This process will be easier -as Ladeja Godina Košir, chair of the CE Stakeholder group phrased- when collaborating with our ‘soulmates’. One of the truly interesting moments during the conference was the result of a live poll which divided the answers of the participants into almost perfectly symmetrical thirds. The question was “who needs to act and to do what” to lead towards circularity, and we were given 3 options: policymakers (to set targets and frameworks), consumers (to change behaviors for economic transition) and industry (to develop circular technology and business models). A week has passed and that result is still inspiring conversations in the corridors of our universities. Written by Santiago PEREZ, in Collaboration with Natacha Klein, Martin Calisto, Kaustubh Thapa, Malgorzata Lekan, Estephania Delgadillo Heather Rogers and Erik Roos Lindgreen.